A senior Obama administration official tells CBS News the U.S. government has “high confidence” Russia’s largest intelligence agency hacked Democratic organizations to try and give Donald Trump an advantage in the presidential election. Now the government is preparing to respond. Congressional leaders and President Obama support an investigation, while Mr. Trump rejects the CIA’s findings. President-elect Donald Trump has chosen ExxonMobil CEO Rex Tillerson to be secretary of state. The confirmation process for Tillerson could prove highly contentious, with some leading lawmakers voicing concerns about his relationship with Vladimir Putin, and in light of reports about Russian hacking targeting the U.S. election process. 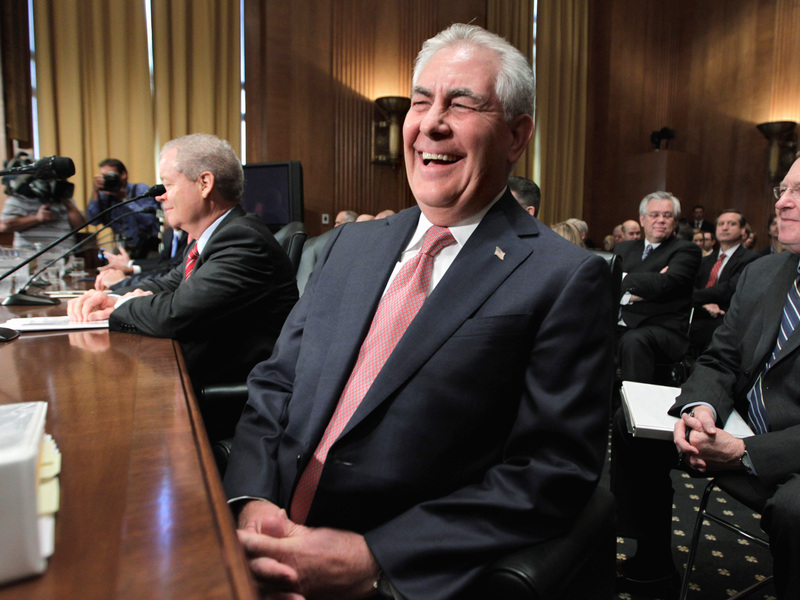 Donald Trump’s Cabinet picks have elicited plenty of criticism from Democrats, but with the news that ExxonMobil CEO Rex Tillerson is Mr. Trump’s choice for secretary of state, there is some criticism coming even from his own side of the aisle in the Senate, which must sign off on the choice of Tillerson to be the nation’s most senior diplomat. Major Garrett reports that Donald Trump has selected Rick Perry to be his energy secretary, according to two sources directly involved in the transition and selection process. The former Texas governor, who once suggested he’d abolish the very governmental department he’s been chosen to head, sits on the board of one major energy company that may complicate his confirmation process. In a sign of policy makers’ confidence in the strength of the U.S. economy, the Federal Reserve is widely expected to hike interest rates this week for the first time in a year. We look at how investors are likely to react to a move to lift borrowing costs.